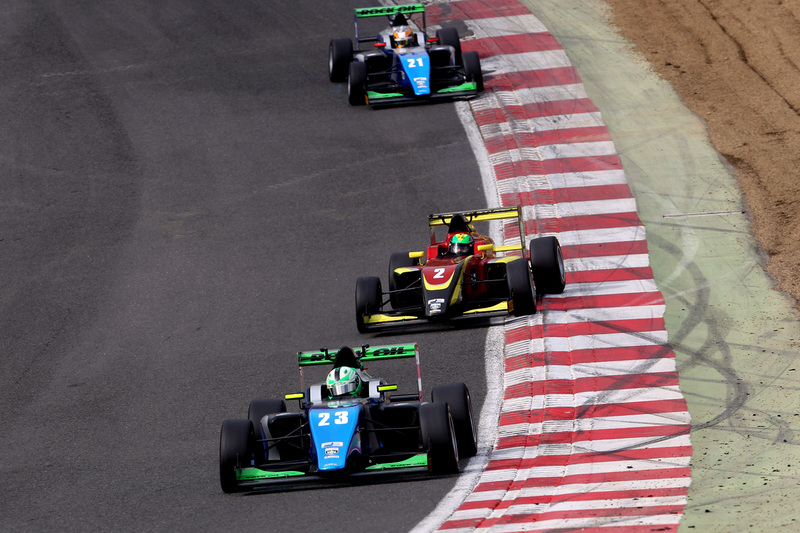 Pictured Maxwell chalked-up three consistently strong results at Brands Hatch Grand Prix Circuit. Maxwell chalked-up three consistently strong results at Brands Hatch Grand Prix Circuit. Australian racer Thomas Maxwell chalked-up three consistently strong results for SWR during the second event of the BRDC British Formula 3 Championship season at Brands Hatch Grand Prix Circuit over the weekend, 16th/17th April, to consolidate a top eight placing in the driver standings. Matching a season-best seventh place race finish in the last of the three races at the Kent track, the ever-improving youngster starred by carving his way through from 18th on the grid. He also added ninth in round four on Saturday and eighth place in round five. 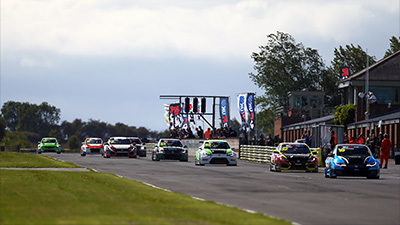 South African team-mate Eugene Denyssen delivered an outstanding drive in the second race, far out-performing his previous best from Snetterton 300 Circuit last month with a richly deserved ninth place finish. 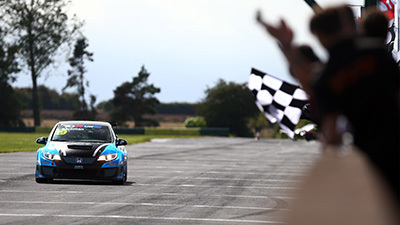 He also showcased more skill in race three with a great drive from 20th into the top 12. 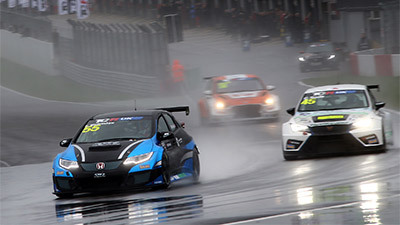 “All three guys raced well and we’re confident they had the pace to run with the front group, it’s all about qualifying”, said SWR team owner Sean Walkinshaw, “When you’re stuck in the train further back you can’t show your real pace, but we saw some excellent racing and a lot of great overtaking. With wet weather affecting practice, followed by red flag interruptions in qualifying, all three of SWR’s rookies had to get to grips with a challenging start to the second weekend of the season but each made progress in round four – and also coped well with the onset of rain late in the race. Maxwell qualified just outside the top 10 with the 11th fastest time and although edged back three places on the opening lap, the Australian battled back quickly and started to move towards the top 10. Back into 11th place on lap 11, his recovery stalled soon after when elbowed down to 12th but Maxwell was undeterred and eventually finished the race in an improved ninth position. Danish driver Jonck started the race further back than anticipated in 16th place, a result of the bitty qualifying session, but produced a strong showing and held 14th position prior to the halfway point. During the second half of the race, Jonck gained three more places to conclude the outing in 11th. From 18th on the grid, Denyssen held position over the first half a dozen laps and gradually moved up the order. Inside the top 15 by lap eight, the South African gained two further positions before the conclusion on lap 16 to take his best result to that point of 13th place. While Maxwell was the highest placed finisher in round five on Sunday morning, taking a highly competitive eighth place, Denyssen was SWR’s star performer with a superb drive through from 13th on the grid into ninth at the conclusion – easily his best performance yet in British F3. Maxwell began the contest in ninth position and after climbing into seventh on a busy opening lap, the Australian remained there until lap four when he was edged back to eighth where he stayed to the conclusion. 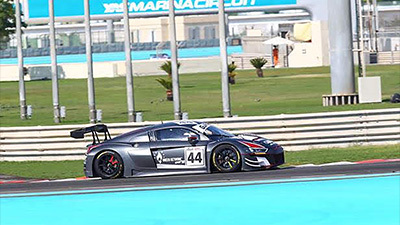 From the seventh row of the grid, Denyssen gained two positions on the opening lap, moving ahead of team-mate Jonck in the process who slipped from 11th to 12th place. Continuing to race well, he then broke into the coveted top 10 on lap six and on lap 12 he made his way past Quinlan Lall to grab ninth for a terrific season-best result. Jonck, meanwhile, ran in 12th throughout the second contest but hopes of more in the subsequent sixth round came to nothing when he had to make two enforced pit visits. First, the Dane sustained a left-rear puncture which dropped him down the order. Then, after red flags were shown at the end lap six, Jonck picked up front wing damage after the re-start which led to retirement. Maxwell lined-up in 18th position and Denyssen in 20th spot for the finale and both SWR cars made excellent progress over the first six laps. Maxwell fought through into the top 10, with Denyssen only two places further back, which is where they were when the red flags were shown. Racing resumed over a duration of five laps and Maxwell went on to end the contest only 0.1 seconds shy of the top six. Denyssen, in the meantime, posted a top 12 result but was in the thick of a very close battle for ninth all the way to the flag with three other cars. 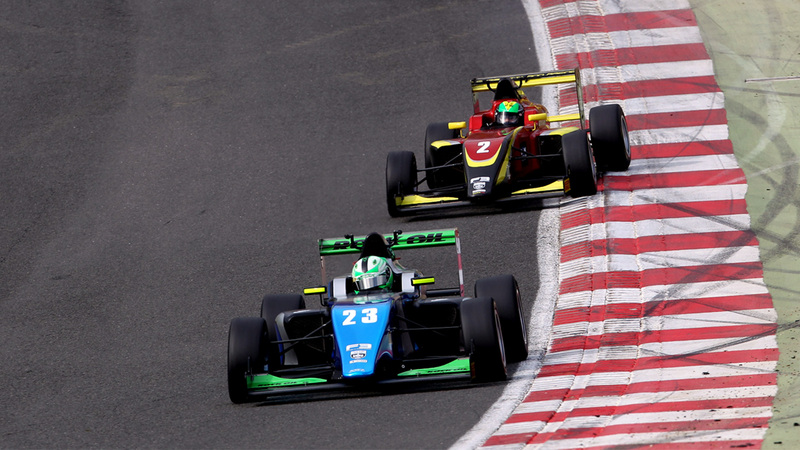 Rounds seven, eight and nine of the BRDC British Formula 3 Championship will be contested over the weekend 30th April/1st May at Rockingham in Northamptonshire.